The main source for this brief biographical sketch is Thabiti Anyabwile, The Faithful Preacher, Recapturing the Vision of Three Pioneering African American Pastors, (Wheaton: Crossway, 2007) 17-23. 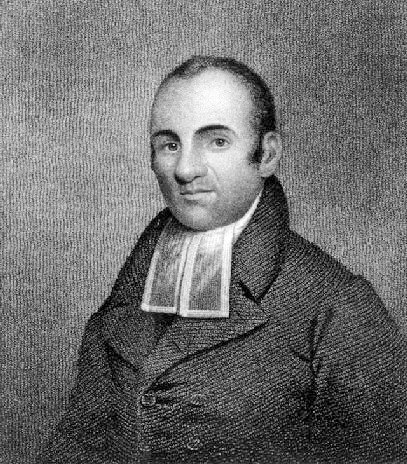 Lemuel Haynes was born July 18th 1753 in West Hartford Connecticut. The circumstances of his birth are the subject of some debate. Some think that his mom was either a wealthy white woman of a prominent Hartford, Connecticut family while others argue that she was a Scottish servant girl by the name of Alice Fitch. His father was one John Haynes of whom we know very little about other than he was of African descent. His parents quickly become irrelevant to his biography as he was abandoned at an early age. As child of racially mixed parents he was abandoned as a five month old baby. He was brought to a family by the name of Rose where he was indentured as a servant. He would gain his freedom after working for the family until 1774. The Rose family raised him as their own and he was brought up with strong gospel teaching in their home. Lemuel became a follower of Jesus Christ who would one day call him to be a preacher of the gospel in New England. Upon gaining his freedom he volunteered to fight as a Minuteman in the militia of Massachusetts and in 1776 joined up with the continental army in the American Revolution. He fought for the American colonies before being relieved of duty due to his contraction of typhus. During this time his views were shaped by his admiration of George Washington and became an ardent Federalist who believed in the sharing of power among the states and the federal government. His spiritual views were influenced immensely by the Great Awakening in New England which took place in the 1740s and influenced the region for decades after. He trained for gospel ministry studying the biblical languages under two Connecticut ministers. He was licensed to preach on November 29th 1780 and five years later became the first African American ordained by any religious group in America. He began his ministry as a member of a new church in Middle Granville, Massachusetts where he preached on occasion. At the time of his ordination, he was serving a church in Torrington, CT. Though he was a powerful preacher, churches in his area would not offer him a pastorate due to racial prejudice among some of the churches. He married in 1783 to the twenty year old Elizabeth Babbit, a young white school teacher who was a member of the Middle Granville church. They would go on to have 10 children from 1785-1805. In 1788, he finally received a call to pastor a congregation in Rutland Vermont, an all white church he served faithfully for 30 years. He served another congregation in Manchester Vermont for four years and for another eleven years as a preacher in Granville New York. After battling a severe infection in one of his feet, Lemuel Haynes died at the age of eighty in 1833. During his pastorate in Vermont, he received an honorary Master’s Degree from Middlebury College in 1804; this too was another first for an African American in our country. He spoke out against slavery and thought that God, in his providential plans, would eradicate the institution and bring an integrated society. His life was categorized by his earnest preaching of the teachings of the Bible with particular focus on the Sovereignty of God, his saving work in Jesus and the reality of eternity always before us. He focused much on the character of a Christian minister and how one must seek walk before God if they are ever to stand and preach to people. As a biracial man, raising a biracial family he was granted a closer position in white society than most African Americans of his time. Yet this proximity also made the discrimination he faced all the more difficult as indicated by churches that would let him preach the gospel to them but would not let allow him to be in authority over them as their pastor. One final note of historic interest. In 1975 The Lemuel Haynes House in Granville, New York was made a national historic landmark by the United States government in memory of his life and legacy. Yet for all his achievements in breaking racial barriers in New England long ago, Lemuel’s own writings demonstrate to us that his primary concern was that men and women of all races meet and believe in Jesus Christ. In closing, I want you to hear the words of this man of deep gospel conviction from his first published sermon in 1792 entitled The Character and Work of a Spiritual Watchman Described. Courage and fortitude must constitute part of the character of a gospel minister. A sentinel [a watchman or guard] who is worthy of that station will not fear the formidable appearance of the enemies, nor tremble at their menaces. None of these things will move him, neither will he count his life dear unto him as he defends a cause so very important. He has the spirit of the intrepid Nehemiah: “Should such a man as I flee?” (6:11). He stands fast in the faith, conducts himself like a man, and is strong. A good word for the people of Jacob’s Well seeking to live for the glory of God in our day in central New Jersey. Courage my friends…courage and fortitude for the paths ahead.